Smells are the one thing keeping most people out of thrift shopping and prohibiting them from wearing secondhand clothes. But you can get over it! I try on almost everything I buy at Goodwill because I want to make sure that the things I'm selling are things I would actually wear. Now that everyone is heading over to thrift stores because everyone is clearing out their closets Marie Kondo style, thrift shopping is going to go through a huge boom. Here's how to get over the smells. 1. Get used to it! It's not that bad. It's musty and dusty but you really do get used to it. Seriously. After about 2 minutes in the store and touching the clothes, you don't even notice it anymore. 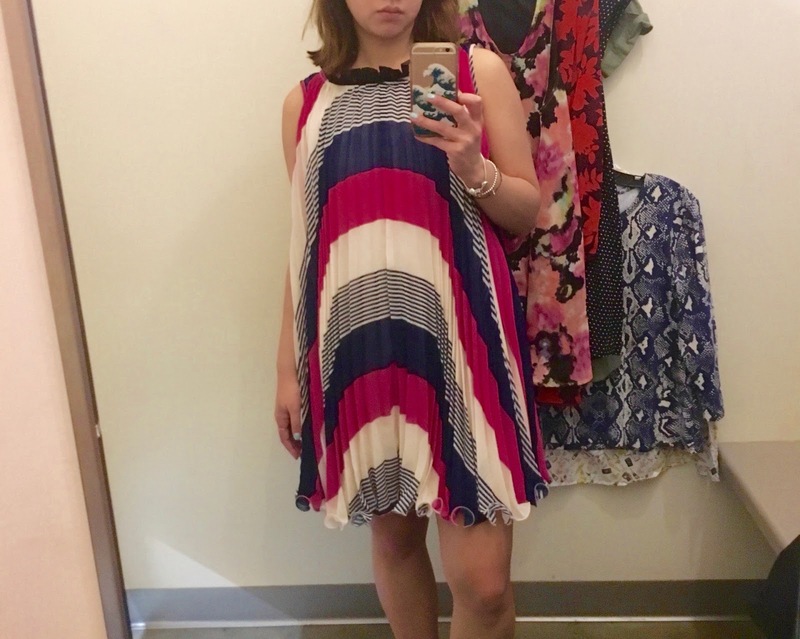 I also like to force myself to try things on so that I get the experience of what my potential customer would be buying and putting on themselves. When I try things on, I notice that some clothes have strong perfumey smells, from whoever last tried it on or owned it, and some just smell like musty Goodwill. PRO TIP: It also helps to try things on so that you find flaws that might not stand out when you are just looking at the item on the hanger. 2. Air things out when you get home. I've found just hanging things in my kitchen nook (on the windowsill) where they can air out gets rid of the initial musty scent before I start steaming the item. Depending on how long you let them hang up depends on how much the scent will go away. I try not to let things hang up for too long just because of how it looks visually with my apartment decor but also because I want to move quickly in getting things photographed, listed, inventoried, and sold. 3. Know that you can always wash things. I don't personally have a washing machine in my apartment but I take some things (that can be easily washed) back to my parents' house for cleaning. For everything else, I go through and steam each item which according to @emptyhanger kills more bacteria than washing. Steaming doesn't necessarily get rid of the musty Goodwill smell, so see #4. That's all I have for now. As my Poshmark journey continues I hope to continue to learn more tips and tricks to share with fellow Poshers and thrift shoppers in general. One thing I can thank the smells for is that it weeds out the competition!